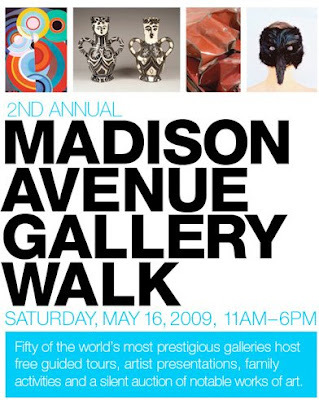 You are all invited to a private Fashion Show at 6:00 pm on May 21, 2009 at Lord & Taylor (39th St. & 5th Ave - 3rd Floor) hosted by Madama Griffitts O'Hara (http://www.madama-law.com/) and Artfully Unforgotten (http://www.artfullyunforgotten.com/). Find below a copy of the original invite with the details. You are welcome to invite additional guests and forward the invitation to your colleagues and friends. Refreshments will be served. Check-in begins at 6PM on the Third Floor of Lord & Taylor, fashion show begins at 6:30pm. The first 50 people to check-in may receive a $10 gift card from Lord & Taylor and all guests (subject to availability) will receive a savings pass for purchases at Lord & Taylor (subject to limitations).There is no dress code. There will be time before and after the show to mingle with the other guests. RSVP at hm@madama-law.com by 5.18. On Saturday, May 16th from 11am to 6pm. Tours depart hourly from the Event Information Centers in the Fuller Building-Vornado Realty Trust, Owner (41 E. 57 St.) and Arader Galleries (1016 Madison Ave.). Reservations are not required. It's back once again for the 4th time. 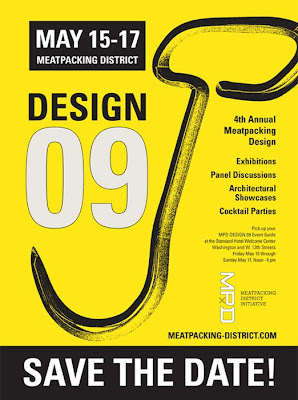 The MPD Design Festival (or week as a few like to say) kicks off this Thursday, 5. 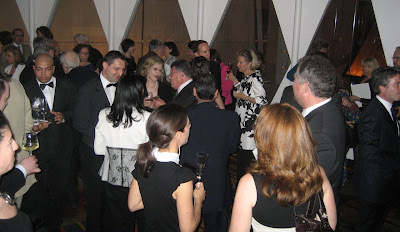 14 at the Standard Hotel with a discussion between hotel owner Andre Balazs and Julie Lovine of Architects newspaper. 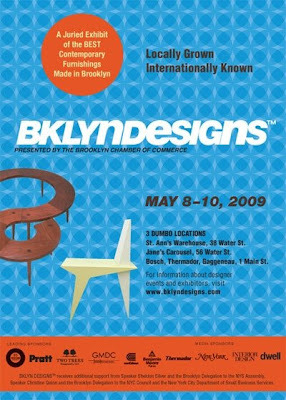 This event is invitation-only so only designers and architects will be invited. But don't worry. There will be a kick-off reception the same day at Abingdon 12, 613 Hudson street from 6pm to 9pm. More events to follow on Friday and Saturday but the major party day is Sunday, 5.17 with a series of cocktail receptions in stores and streets of the Meatpacking District. I will keep you up-to-dated...Watch this space. 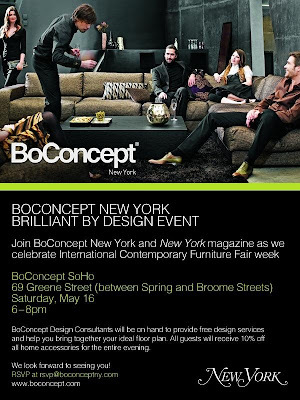 Saturday, 5.16, from 6pm to 8pm, 131 Greene street (between Prince and W. Houston). European Wine Council's annual gala dinner took place at the well-known Cirque restaurant last Thursday, celebrating fine wine and outstanding cuisine. 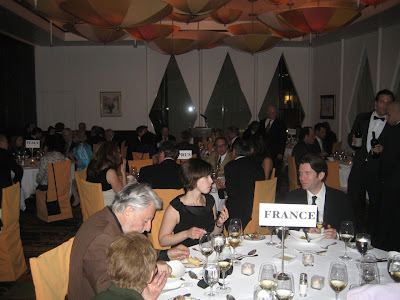 Participants, who included wine importers and experts, members of the press, restaurateurs, chefs and retailers specializing in food and wine, tasted crab cakes with béarnaise sauce, shrimp tempura with spicy mayonnaise and duck brochette ala orange canapés (amongst others) while sipping Champagne Gosset Brut and Mont-Ferrant Brut Rosé. The sit-down dinner was equally impressive: the wines were paired with the menu specially prepared under the personal direction of owner Sirio Maccioni. The list included Jean-Luc Colombo, "Amour de Dieu", 2005 maching the egidiana ravioli, Marchesi Antinori Tenuta Guado al Tasso Il Bruciato 2007 with the saddle of lamb and Ayios Onoufrios 2006 with the selection of the three cheeses. The dessert, the amazing Millefoglie was accompanied by the Centurion Commandari 30 years old and "Lo Clavell" Muscat de Rivesaltes, 2005. The Gala honored founder of Bottlerocket Wine & Spirits, Tom Geniesse, and the vice president of European Imports and Sales at Total Wine & More, Alfio Moriconi. 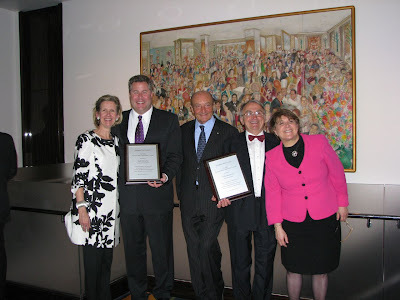 The Ambassador's awards were presented by Dr. Lucio Caputo, the chairman of the European Wine Council. The elegant reception, the fantastic dinner, the impeccable service and the warm atmosphere made this gala dinner an event to remember. I am looking forward to next year's already.